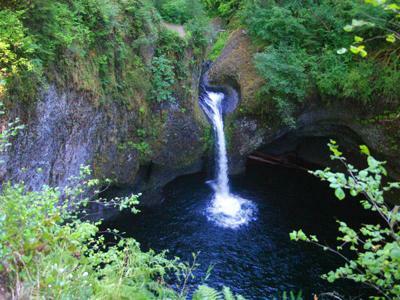 Along the Columbia River Gorge on the Oregon side, there is a trail to the Punch Bowl Falls. In this case the bowl is at the top of the falls. Very beautiful.